Beer containers. They come in all shapes, colors and sizes; but does the container really matter? Yes indeed it matters! Beer is a living substance, and like all living things it can be altered and affected if acted upon by outside forces. Temperature can affect beer, sun-light, oxygen and time can as well. The container the beer is placed in can either protect against or enhance these factors. 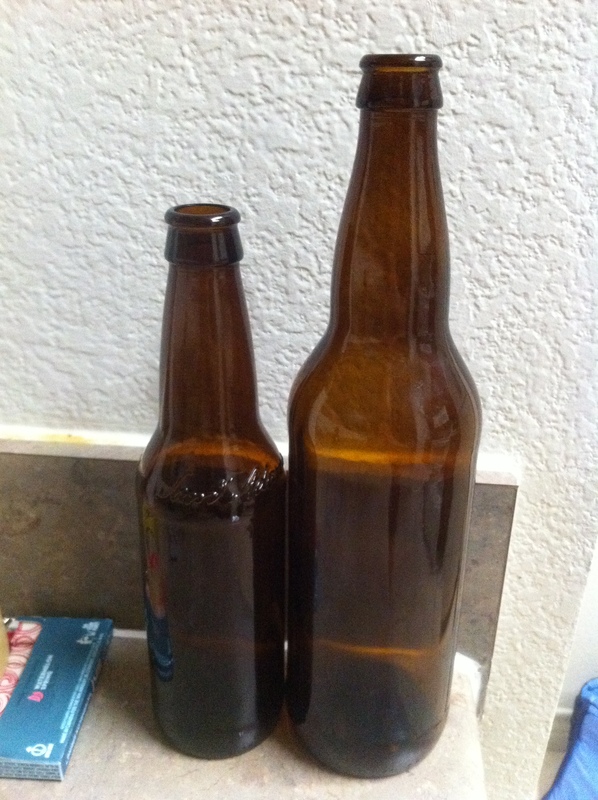 For the purposes of this examination, we will be comparing glass bottles to aluminum cans. Beer has been bottled for several hundred years, dating back all the way to the 16th century. Most of the beer you will find today comes in 12 oz glass bottles. Although it is not uncommon to find plastic and aluminum bottles, glass is by far the industry leader. Some breweries even use ceramic or earthenware bottles which are not very cheap to say the least. Let’s take a look at some of the common (and not-so-common) sizes and shapes of glass bottles in use today. 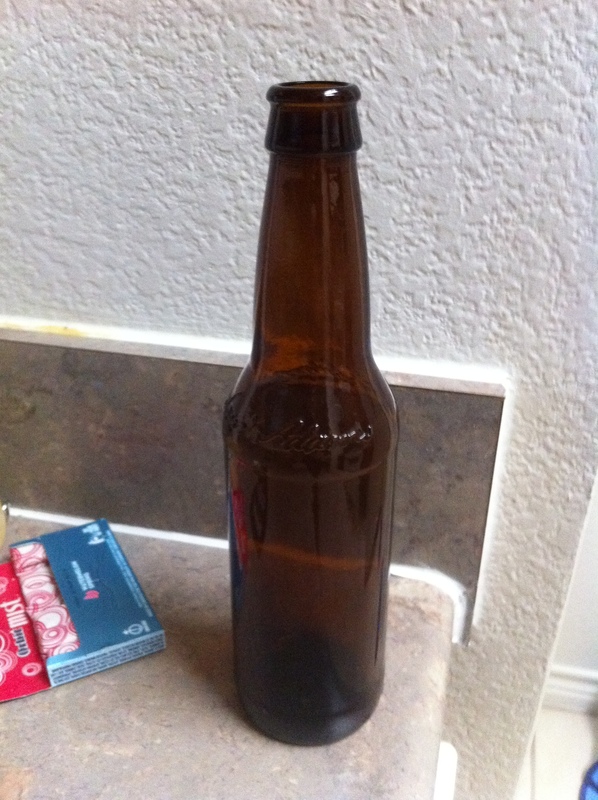 12 ounce American Longneck bottle, also called an ISB (Industry Standard Bottle). These are the most common bottles found in the American beer market. 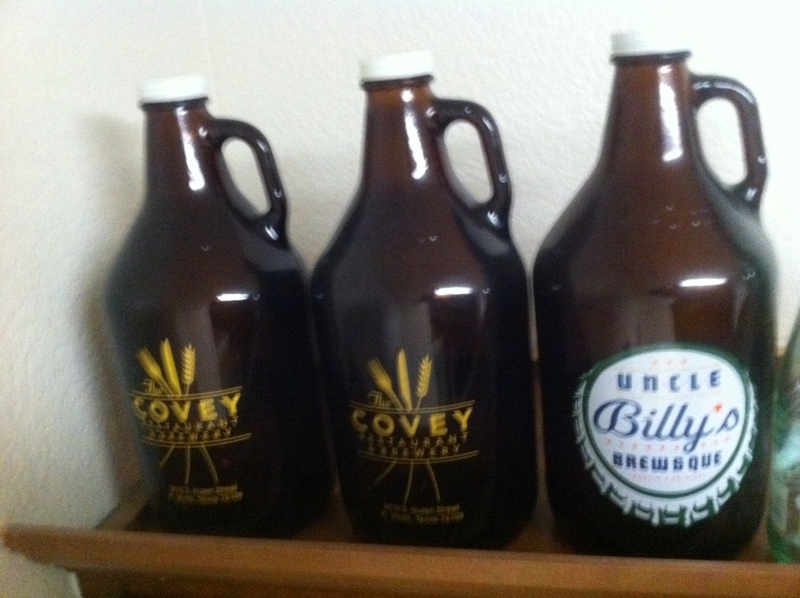 All types of beer can be put in these bottles from light sessionable beers to heavyband high in alcohol. Usually sold in groups of 6 or 12. 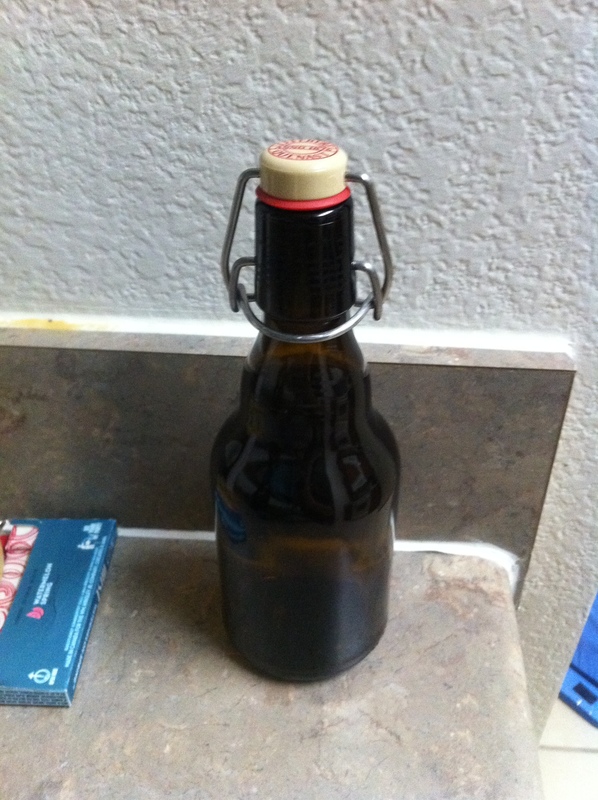 Twist top or pry cap closure. 22 ounce “Bomber”. Also fairly common in the American market today, usually reserved for less sessionable beers, as these bottles are always sold individually. Pry cap closure. 750 milliliter bottle. These can be found in both the American market as well as the international community. They are often reserved for special releases and Belgian Ales. Almost always caged and corked closure, but sometimes pry caps. Growler. Holds anywhere from 1.5 – 2 liters. 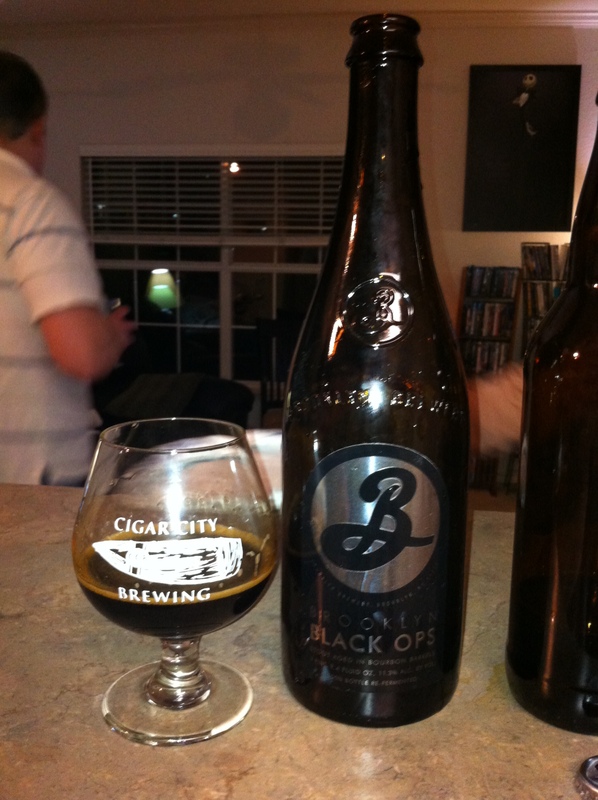 Can be found at most brewpubs for sales of off-premisis consumption. Other states besides Texas allow growler fills on-site at a brewery. 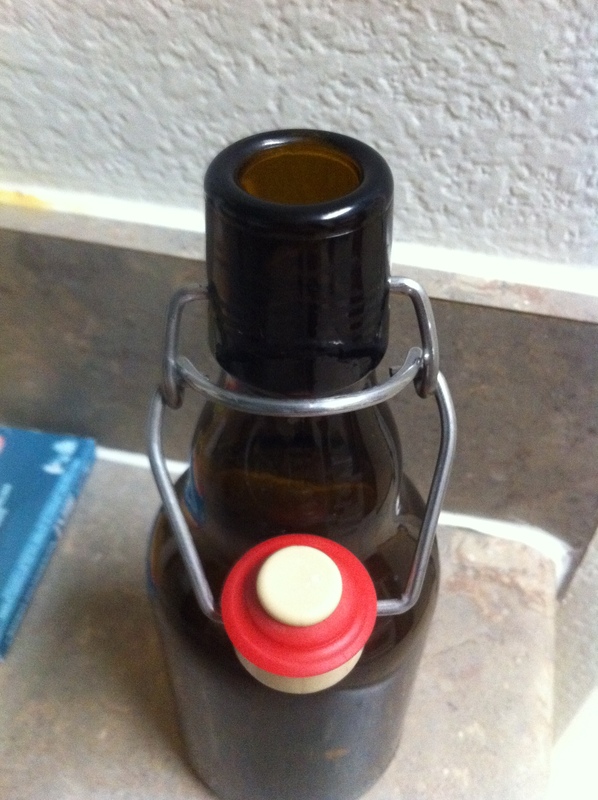 Screw cap or swingtop closure. 330 milliliter bottle. Short and shapely, these bottles are used almost exclusively by the Belgian beer community. Pry top or swing top closure. There are several different means of closing a bottle. Here is a brief mention of each. Twist-off Caps. 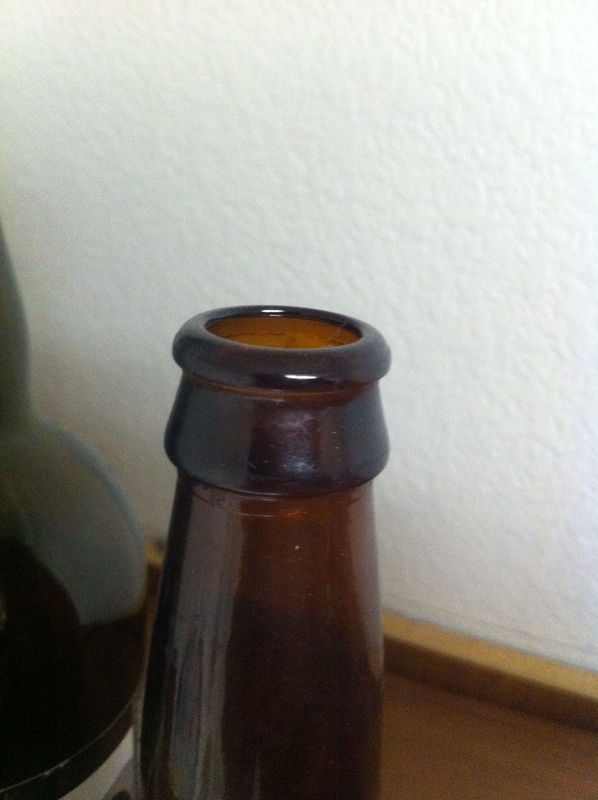 These specially made bottles have grooves on the lip for easy removal of the cap by unscrewing. This style cap allows some oxygen permeation and does not create an effective seal. Pry Top Caps. 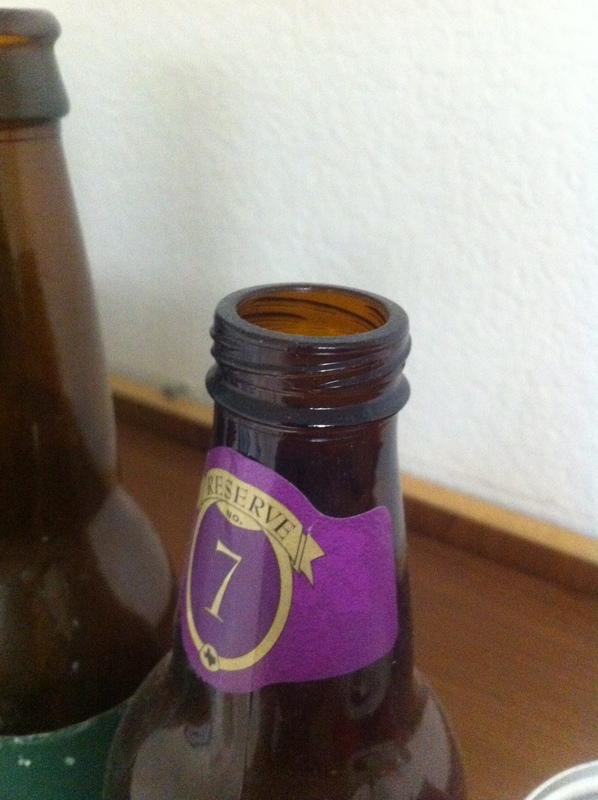 These caps seal all the way around the lip of the bottle and require a lever (such as a bottle opener or belt buckle) to bend and remove the cap. Typically an effective seal. Swing-Top Caps. These look elaborate but are quite simple in actuality. The top is affixed over the opening while the latch is forced down sealing it in place. If the topper is not centered correctly, the seal will be inadequate. Caged and Corked. Used on the largest bottles typically, a cork is inserted into the bottle with a wire cage belong to hold it in place. 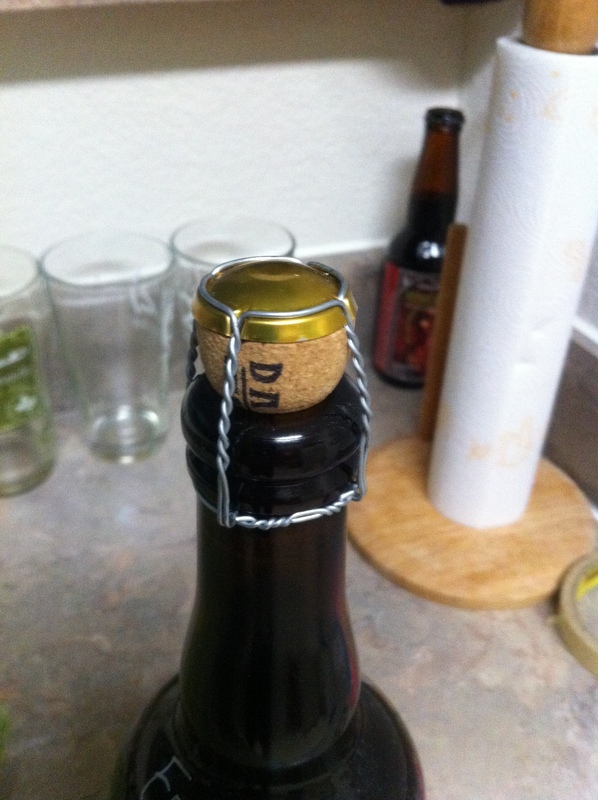 Pressure resulting from carbonation inside the bottles require the cages, lest the cork be prematurely….uncorked. Effective barrier as long as the bottle is stored upright. Screw Caps. Large metal caps used on growlers. These do not seal well at all, which isn’t usually a concern as growlers should be drank within a few days of the initial pour. Not a container for storing or aging. We’ve looked at the shapes and sizes of bottles as well as different methods of closure. Now let’s take a look at the different colors of glass that are available. This is where the color choice can severely affect the quality of the beer. A major spoiler of beer is our beloved sun. Even direct contact with sunlight for as brief as a few minutes can be enough to alter the flavor. Sunlight reacts with a molecule found in most hop plants and alters it to create a noticeably “skunk-like” odor. This is absolutely a flaw in the beer and should be avoided at all costs. Brown – Brown glass makes up the vast majority of beer bottles produced today worldwide. It affords the highest protection from sunlight as far as glass which has been reported to stop around 80% of light penetration. Green – Green glass offers decidedly less amounts of protection from light damage. Reportedly it stops only around 20% of light penetration. Most German and Eastern European beers come in green bottles. This is strictly for traditional reasons. During WWII, brown glass was reserved strictly for military purposes, so breweries switched to green glass. Due to the low light protection level and long import times and distances, green bottles are quite susceptible to becoming light-struck. Clear – Clear glass offers little to no protection from light. It is used for cosmetic appearances only. I have even heard that some breweries intentionally light-struck their products to entice the drinker to use a lime wedge in the beer. While this is absurd, I wouldn’t dismiss the thought. 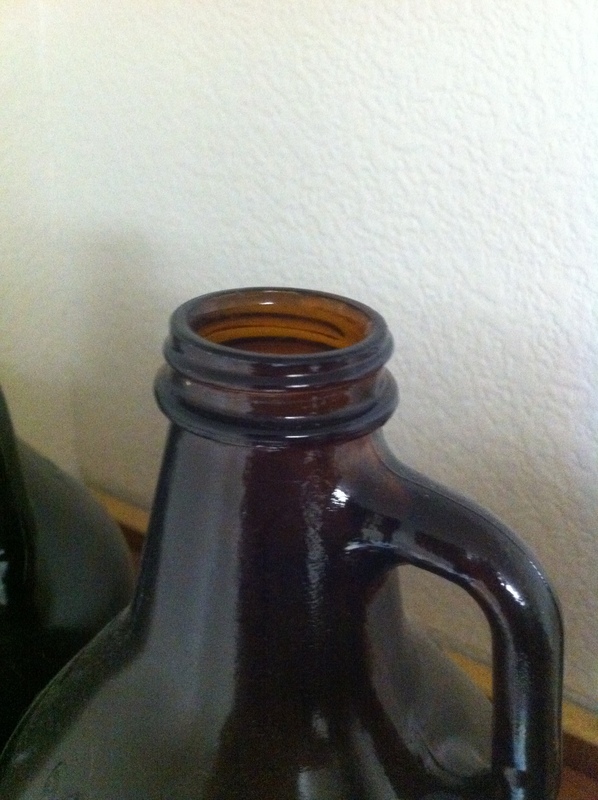 Bottles make a good container for beer, but there are some serious drawbacks. The capping system allows for oxygen to seep into the beer, and the bottles themselves cannot completely protect from sunlight damage. We’ve looked at the pros and cons of bottles so let’s move on to cans. 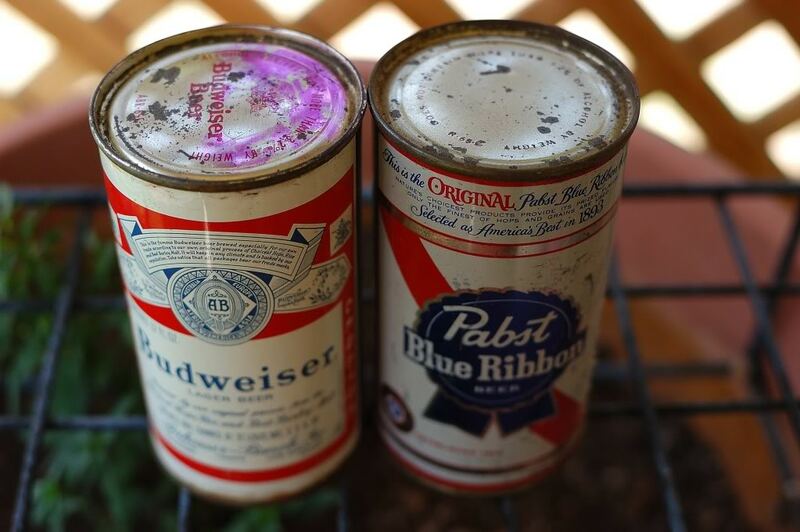 Cans have been used since the 1930’s and have been used for beer since just about the beginning. There has been a bit of a stigma that has followed cans around regarding beer. When most people think of beer in cans, they usually think that it is very light, weak and METALLIC. If you believe that you will taste metal from drinking beer out of a can, then you probably will. The truth of the matter is, cans deserve a more in-depth look. This section by design will be much more succinct than the section on bottles. All cans are the same size and shape and color doesn’t matter. Cans today are made out of aluminum and hold 12 ounces of liquid. There are some other examples of larger size cans but they are few and far between. Some cans can hold 24 oz or 36 oz, but honestly you don’t want to be drinking what is put in them. These are beers that are valued for quantity and not quality. I’m sure you can figure out what I’m talking about. Cans are filled before the top is added, and the top is then placed on and crimped tight. This creates an airtight seal that protects against oxygen that most bottle closures cannot duplicate. Cans are also opaque, so there is no danger to becoming light struck also. There have been big improvements in canning technology recently with the biggest being a spray on epoxy lining that prevents any metal from ever touching the beer. This lining keeps the quality beer taste that you are hoping for. There is some danger of the lining breaking down over long periods of time, but it is a non-toxic chemical that poses no threat to the consumer. Recently there has been a big push for breweries to begin canning, and more and more companies are switching over at least part of their production to cans. Oskar Blues really started this push 8 years ago but putting high quality, big beers in cans and it caught on. Cans are easier to store and transport, protect the beer better than bottles and won’t shatter if you drop it. Don’t be surprised if you start noticing more cans filling up your favorite retailer’s shelf space, but don’t idly pass over them. Give them a chance; your favorite brewery probably is.